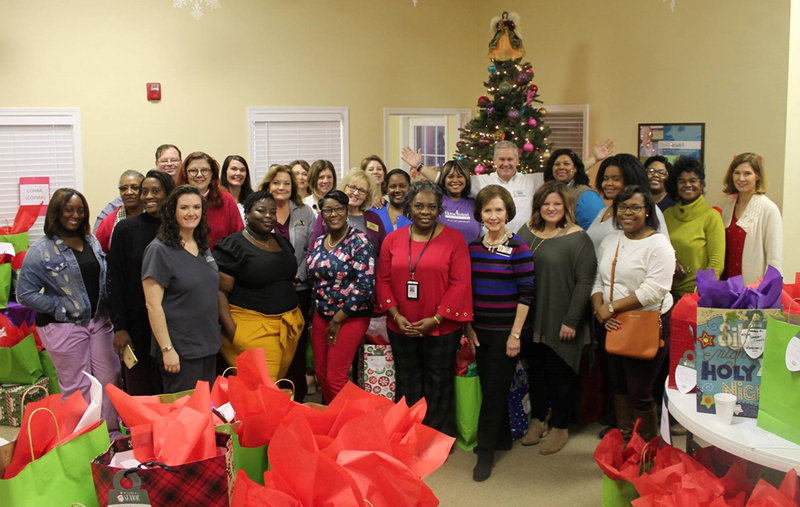 Three organizations assisted Central Mississippi Planning and Development District/Area Agency on Aging with the 2018 Annual “Santa for Seniors Project.” The Jackson Chapter of the National Insurance and Financial Advisors (NAIFA); the Jackson Association of Health Underwriters (JAHU), and Home Instead Senior Care, provided Christmas gifts to over 600 needy seniors in our seven (7) county area. Seniors were asked for their wish lists and the sponsors supplied the items. Robes, blankets, towels, electric heaters, shower chairs, and toiletries are just some of the items purchased for seniors who are homebound and in long term care facilities. The seniors were very appreciative of the gifts and were encouraged and uplifted by the generosity extended to them. Because of sponsors continued participation with this project, the District has been able to provide many needy seniors with Christmas cheer and joy during the holiday season for over 28 years. We are grateful for the interest and generous support of our sponsors. We look forward to working with them in the future.